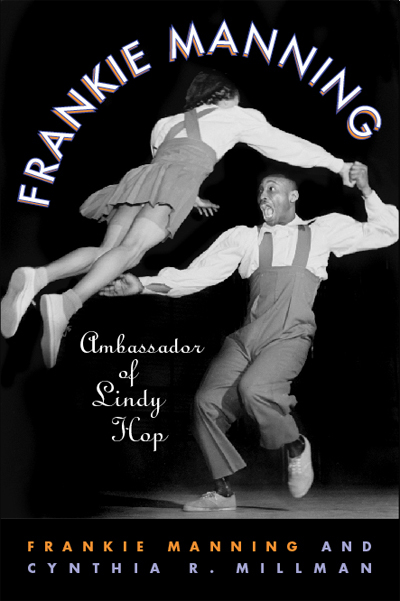 Choreographer and Tony award winner, Frankie Manning recalls how his first tentative steps as a teenager at Harlem's Savoy Ballroom eventually led him to a career as chief choreographer and lead dancer for Whitey's Lindy Hoppers, who appeared on Broadway stages, Hollywood films, and stages around the world. He brings the Swing Era to life with recollections of the headliners as well as the dozens of uncelebrated dancers who helped to make the Lindy an international sensation. With collaborator, Cynthia Millman, Manning traces the evolution of swing dancing from those early days in Harlem through the post-War War II period until it was eclipsed by rock and roll, then disco. You can pre-order the book direct from the publisher Temple Press or from Amazon.com, which has the book for only $18 if you pre-order now. Meanwhile, my team and I at Yehoodi.com will be working with Frankie and Cynthia to organize a proper book launch in New York. Shim Sham Shimmy, anyone?